Whether you’re a driver, owner-operator, or fleet owner, you’re looking for new ideas and relationships that can help you stack the odds of success in your favor. And that’s precisely what you’ll find at Expedite Expo. Launched in 2001, Expedite Expo is the only trade show in the world geared exclusively to the expediting trucking industry. And today, the Expo—which runs July 20 and 21 at the Lexington Center in Lexington, Ky.—has grown to attract thousands of attendees across North America, where they come to learn about the newest trucks, career and business opportunities, and products and services. We are happy to once again have Expediter Services as our Title Sponsor at the show this year. 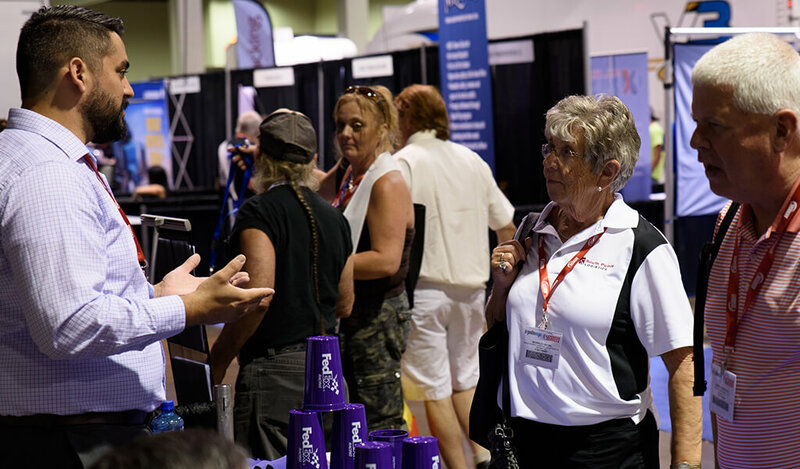 At the Expo, you’ll gain access to valuable education and networking opportunities—all for free, including truck parking. So, here are some of the highlights to consider as you plan your Expo itinerary. ● What does it take to become a fleet owner—and succeed at it? ● I’d like to become an owner-operator, but how do I prepare my finances to buy a new truck? ● What does it take to succeed as a van driver or owner-operator in expediting? ● How should I equip my van for maximum productivity and comfort? ● What are the keys to a good team relationship out on the road? ● How does the recent tax cut impact my business as an expedite owner-operator? 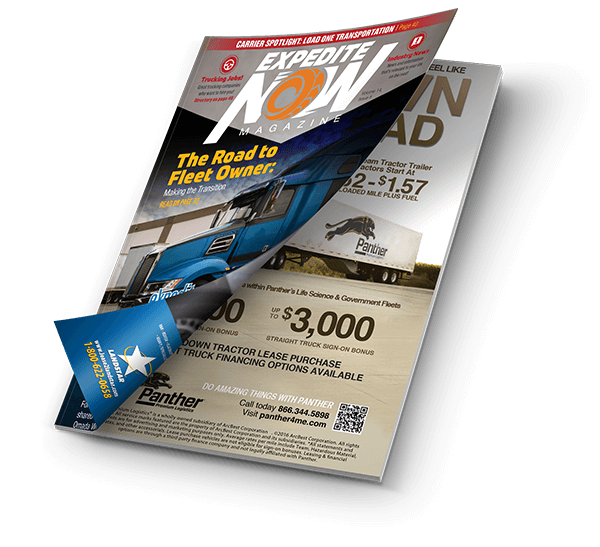 ● How do I get started in expedited trucking? What are the first steps I should take? The idea behind the EO University workshops is to enable you to increase your odds of success in this business by tapping into the knowledge and experience of those who have gone before you. Besides informal networking at the various events at the Expo, you can also sign up on-site for more structured networking “roundtables,” where you sit with your peers and discuss topics that will help you to be more successful in your business. For an hour each day, you’ll have an opportunity to make lasting connections with people who speak your language and share your day-to-day challenges. Compare notes, exchange ideas and build relationships that could become valuable to you for years to come. What are the key trends to watch in expedited trucking over the next few years? What direction is the expedite market, as a whole, heading? Will it grow, hold steady, or hit economic headwinds? How can you best prepare to capitalize on the opportunities and navigate around the challenges that lie ahead? 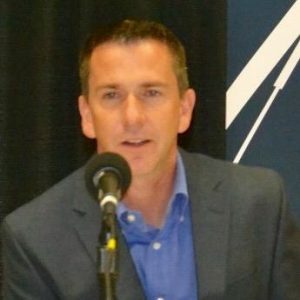 Moderator Sean Lyden with ExpeditersOnline.com will ask industry experts John Elliott (Load One), Stu Sutton (Full Circle TMS), and Ellen Voie (Women In Trucking) to peer into their crystal ball and share what they see. This will be an engaging roundtable discussion for all stakeholders in the expedited trucking industry—including fleet owners, owner-operators, carriers, and drivers—giving you greater insights into the road ahead to help you make smarter business decisions. This event is guaranteed to give you a real casino experience with Blackjack, Roulette, Craps, and Texas Hold’em. There’s no cost to play, but you have the chance to win from among the thousands of dollars of prizes that will be given out that evening. The purpose of the Expediter of the Year award is to recognize those hard-working, professional and safety-conscious expediters on the road today who strive to make the expedite industry better and are deeply involved in serving and making a positive impact on their community. This year’s winner will be chosen among these three finalists: Tim Paxton, an owner-operator with Barrett DirectLine; Nancy Hudson, a driver for A.D. Transport Express; and Eric Escobar, a fleet owner at Fudpuckers Expedited. The Winner will receive $500 cash for travel, hotel accommodations provided by ExpeditersOnline.com, and the Expediter of the Year plaque. Last year’s “Expediter of the Year” was Robert Burton, who donated his $500 prize to St. Christopher Truckers Relief Fund, a charity that helps drivers whose medical problems have led to financial hardship. The 2018 Expedite Drivers’ Choice Award will recognize the dealer whose truck or cargo van receives the most votes. So, vote for your favorite dealer’s truck. And your ballot is also your chance to win a $500 cash prize, with giveaways scheduled for both Friday and Saturday afternoon. The contest period will be from 11:00 am to 2 pm on Friday, July 20, and 11:00 am to 2 pm Saturday, July 21. The Drivers’ Choice Award will be presented at 2:30 pm Saturday, July 21, at the close of the Expo. Porky’s Pickle BBQ Catering will arrive an hour before the event with a smoking pit. They will give you time to check out and photograph the hog. They’ll then perform the traditional “Kissin’ of the Hog Nose for luck” ritual. And as they carve the hog, they’ll teach you “Anatomy of a Hog 101,” while providing you with succulent, juicy meat samples, drenched in your choice of sauces. Sponsors are ExpeditersOnline.com and TA/Petro. Proceeds from the cookout will be donated to St. Christopher Fund. To learn more and register to Expedite Expo for free, visit https://www.expediteexpo.com/. Where: Lexington Center in Lexington, Ky.
Why: Put your expedited trucking career and business into high gear. Register to attend for free at https://www.expediteexpo.com/.